One plant becomes two, and two can become four or more with this great garden magic. Dividing existing perennial plants will keep them healthy and save you money over time. With perennial plants, a one-time investment will grow year after year, providing foliage and color with little work from you. After a few years, though, even the best perennials can become crowded and overgrown. To keep them growing their best, as well as spreading their beauty to other areas of the garden, follow these steps to divide the plants. 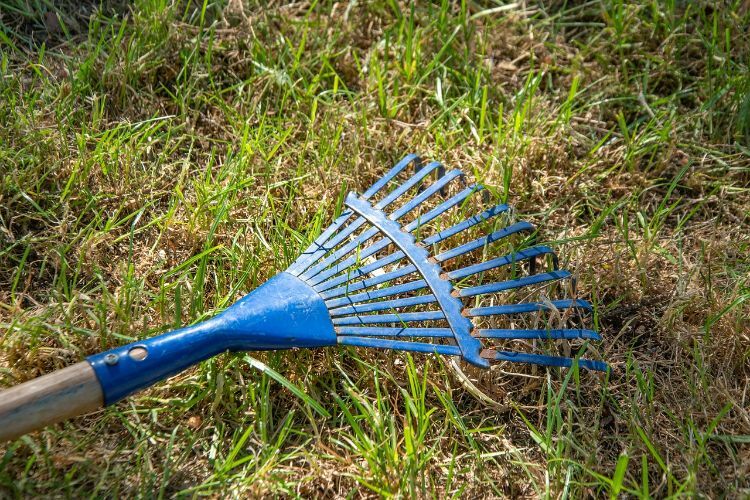 The first step in dividing perennials is digging up a clump that is overgrown. 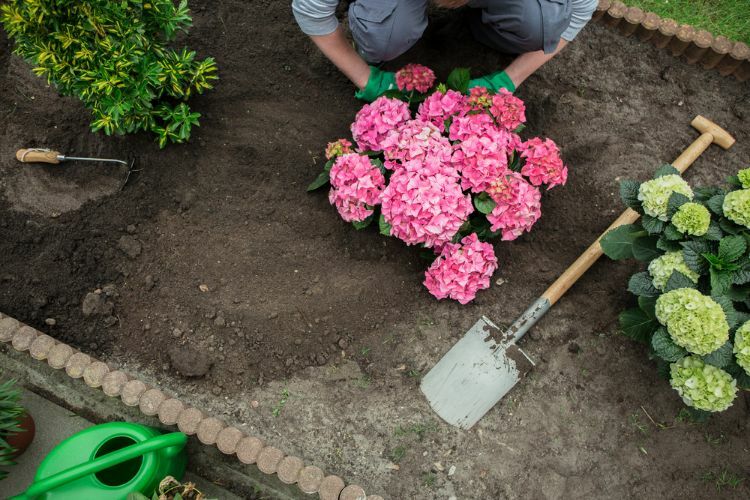 Dig deeply around the perimeter of the plant, using a shovel to loosen the roots while trying to remove the entire root system. Use the shovel handle as a lever, pushing down to help lift the clump up out of the ground. Once the clump has been carefully removed from the ground it's time to divide it into smaller sections. Ideally, each section should have three or four sets of shoots that come up out of the root crown; minimally you need one shoot and one root per division. Sometimes plants will naturally break apart into smaller sections and other times they need more help. 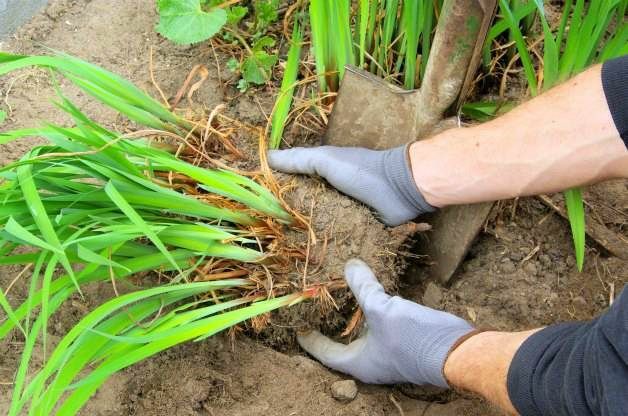 To divide the clump you can use the shovel, a garden trowel, a serrated knife or just your hands. If you are dividing bearded iris, cut the fans of leaves back to 6 inches to prevent water loss while the plant re-establishes itself. To provide for ample root growth, dig holes for the divided plants that are twice the width and depth of the root mass. Also, be sure to give ample space between the planting holes to account for the size of mature plants in a couple of years. 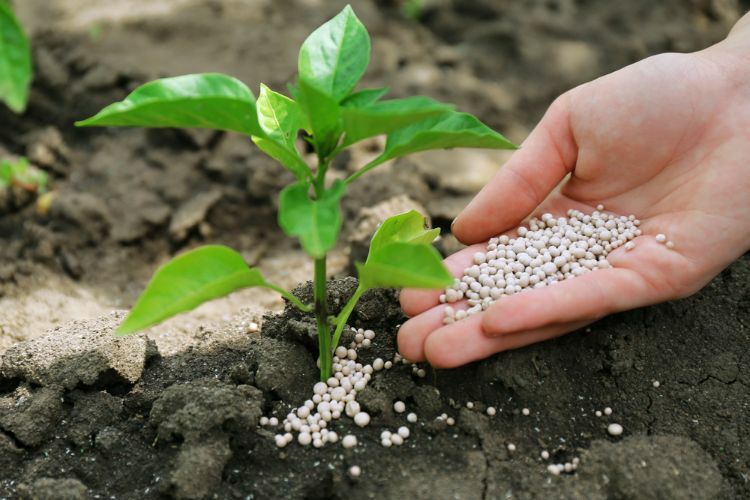 According to the University of Georgia Extension Service, add a slow release or liquid fertilizer to the planting hole to help promote root growth; a balanced, general purpose fertilizer (such as a 10-10-10) can damage tender roots. 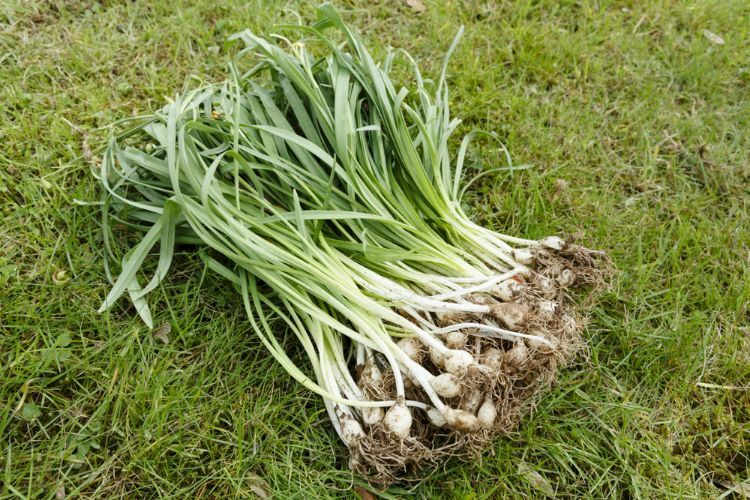 Bone meal is an excellent source of slow-release potassium, which encourages root growth, and works perfectly in this situation. If possible, get divisions back into the ground immediately after digging them up and dividing them. This will help lessen the transplant shock and reduce the risk of the plant drying out too much and dying. 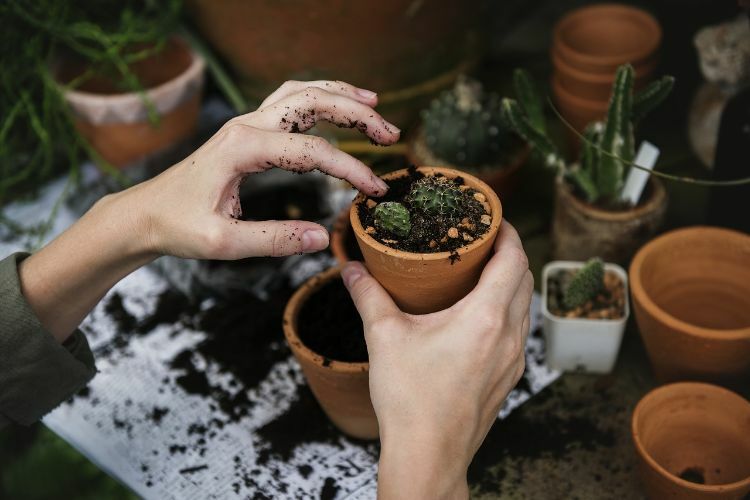 Plant the smaller plants at the same depth of the original plant, making sure to tamp the soil around it firmly without packing it down. After plant, give each new division a good soaking of water. While the root systems re-establish, make sure to water frequently. 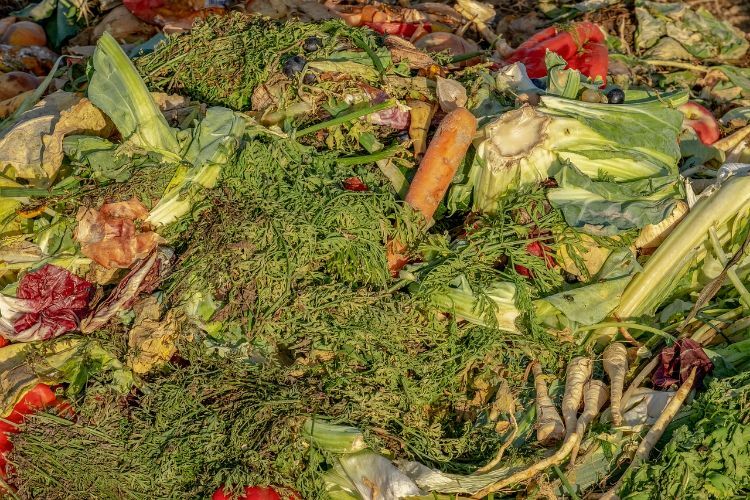 Forget buying compost from the store. Make your own by gathering kitchen scraps, twigs and even tea bags. Avoid using meat scraps because those may attract animals. 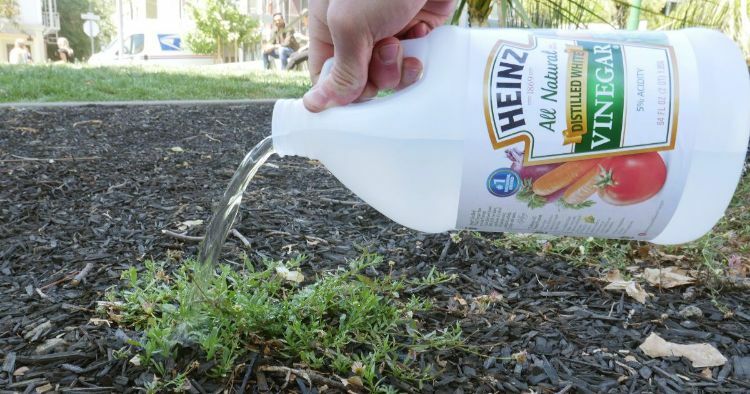 If you're new to the gardening world, you may have heard rumors about using vinegar to kill weeds. There is a certain appeal to this method. It's cheap, not as toxic as some of the store-bought chemicals on the shelf and it's effective. That said, note that vinegar can affect the health of plants you want to keep. 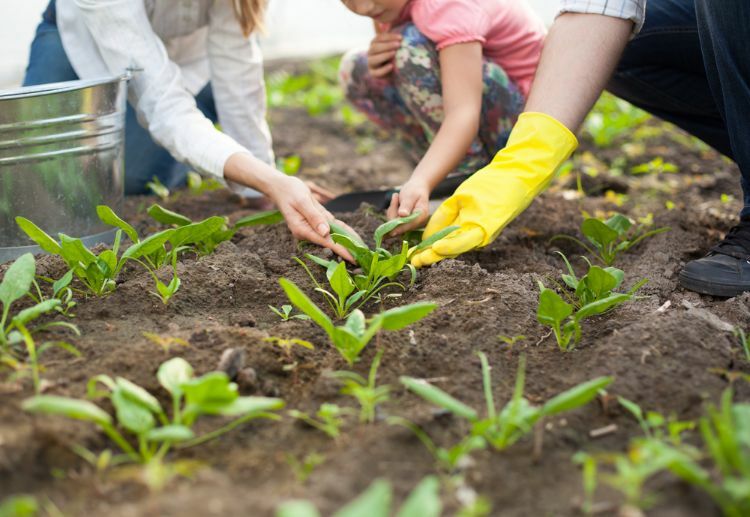 If you choose to use vinegar as a weed killer, you may want to stick to areas of the yard where you don't have other vegetation, to reduce the risk of killing your favorite flowers or vegetables. Don't worry about grass clippings. Rather than dumping them out, leave them be to decompose naturally. 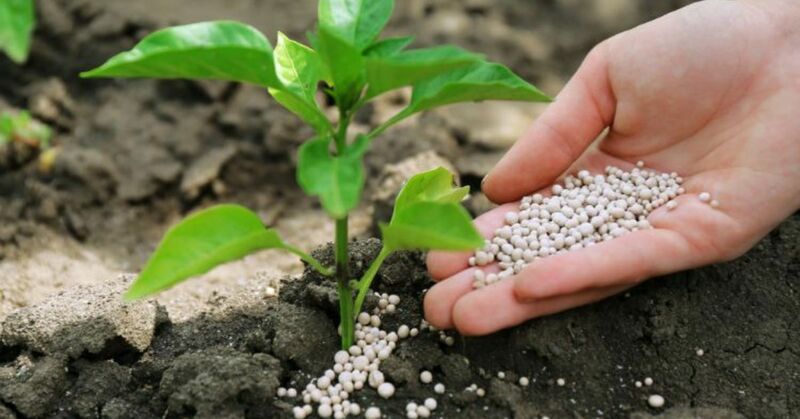 They will add nutrients to the lawn and garden, meaning you won't need to spend as much money on fertilizer. When creating a garden, go for native plants that would naturally grow in the environment where you are. 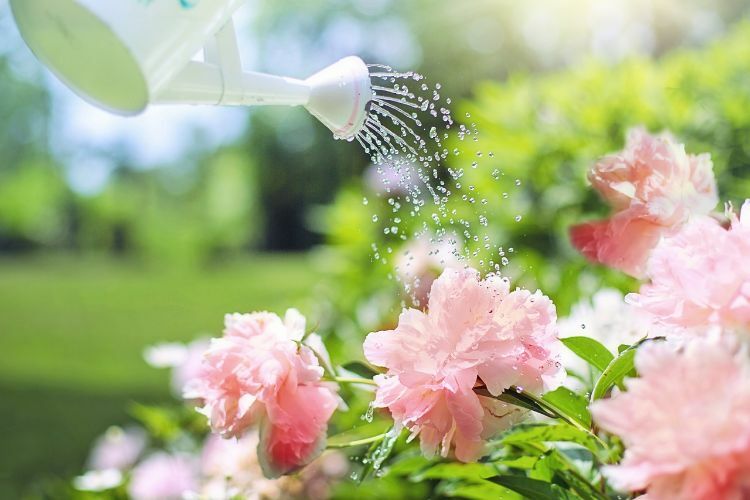 This will help reduce costs from having to spend extra on watering or nurturing during the winter season.